Kit yourself out like the Skipper's crew with official Great Lakes Skipper T-shirts and hoodies! Our T-shirts are made of 100% cotton knit with ribbed crewneck collars. 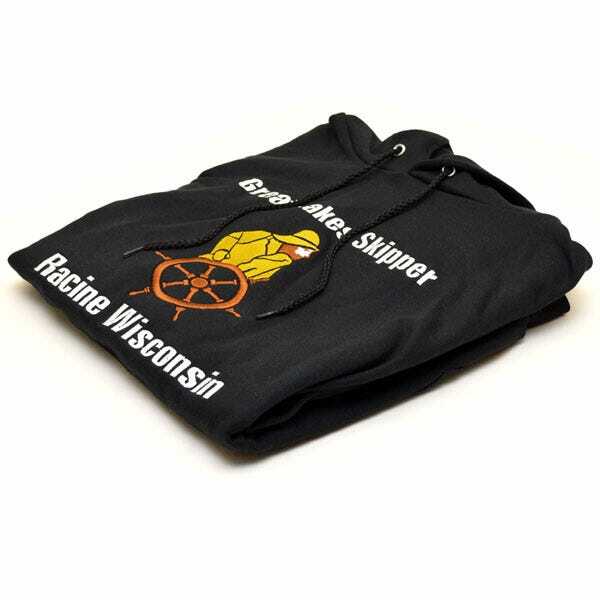 Cozy fleece sweatshirts are perfect boating wear with snug hoods and kangaroo pockets to warm chilly hands. Why not grab one for each member of your crew?